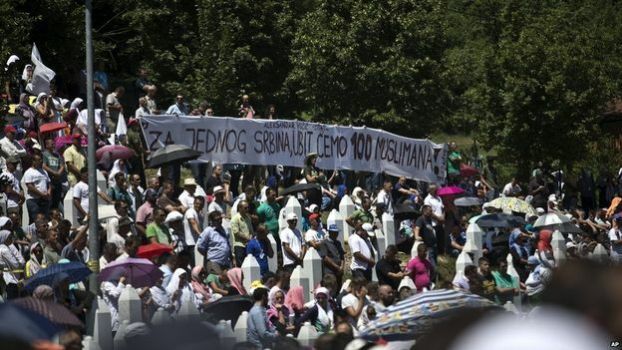 Bosnia’s presidency has condemned an attack on Serbian PM Aleksandar Vucic at a ceremony marking the 20th anniversary of the Srebrenica massacre. It said Mr Vucic had visited the town in a spirit of reconciliation, intending to pay respect. Mr Vucic was forced to flee the ceremony after being booed and heckled and then pelted with stones. About 8,000 Muslims were killed in Srebrenica by Bosnian Serb forces during the Bosnian war.